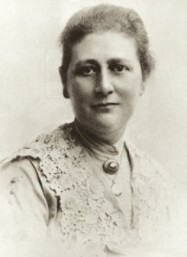 Beatrix Potter (July 28, 1866 – December 22, 1943) was a British author and illustrator of beloved children’s books. Her inspiration came from the nature and animals that surrounded her as a child and sprouted an imagination that would delight the world forever. Beatrix was the daughter of conservative upper class parents, raised in a fine South Kensington home. As was typical for girls of her class, was educated at home by governesses. One of her only companions was her brother, Bertram, who was six years younger than she. Everything about the countryside fascinated the Potter children. They collected plants, birds’ eggs, and insects; they made pets of mice, rabbits, an owl, and a hedgehog. Both Beatrix and Bertram were naturally gifted artists, and they filled sketchbooks with drawings of whatever they saw. 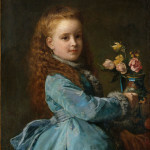 Beatrix remained shy and awkward as she grew into young womanhood. Considering herself plain, she sat alone in corners when compelled to go to high society parties, preferring to attend the Natural History Museum to spend time drawing what she saw there — fossils, bugs, and taxidermied animals. Beatrix had some art training, including informal instruction by governesses, an oil painting teacher (though that wasn’t a preferred medium), and she even had a certificate of completion from the South Kensington Art School. These credentials didn’t help her much once she entered adulthood. Her botanical drawings, her discovery of unfamiliar species of fungi, and even a scientific paper she researched and wrote were spurned by the all-male bastion of the botanical community. 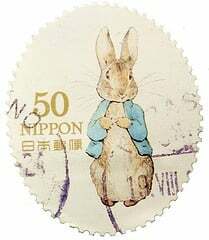 To console herself, she continued to do animal drawings, especially of mice and rabbits, and incorporated them into letters she sent to children of her acquaintances. The young recipients of her letters were so delighted with Beatrix’s drawings that their mother urged her friend to consider publishing them in a book. She returned to a tale she had created in 1893 for the son of her former governess, The Tale of Peter Rabbit. The simple story tells of a mischievous rabbit who becomes the bane of Mr. McGregor and his garden. In 1900, she sent it out to six publishers, all of whom rejected it. 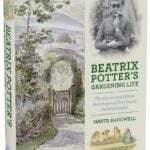 The following year, Beatrix published it herself, ordering 250 copies, which sold out quickly. Finally, in 1902, Frederick Warne & Company published it, and the rest is truly publishing history: Peter Rabbit was an instant success, reprinted endlessly, translated into 36 languages, with tens of million copies sold ever since. It’s still one of the best-selling books of all time. There were a few touches the author insisted on that made her little book rather revolutionary for its time: She insisted that it be a small book, sized perfectly for tiny hands. Many of that era’s books for children were enormous, heavy, ponderous affairs. Next, she wanted to keep the price low, just a shilling, so it would be affordable. Beatrix was savvy enough to be one of the first authors to merchandise a character. It the year or so after the book was commercially published she patented a Peter Rabbit doll in 1903 (actually sewing the first prototype) and created a Peter Rabbit board game. Following in years to come were toys, dishes, and clothing. Once technology advanced, after the author’s death, there were film and television adaptations as well. 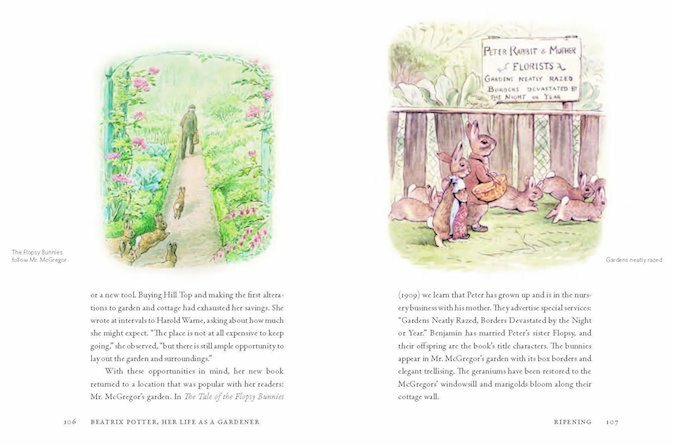 The Tale of Peter Rabbit, like the Potter books that came after, were exquisitely illustrated. Yes, the animals wore clothes and were slightly anthopomorphized, but they were filled with delicately rendered backgrounds of the natural world. 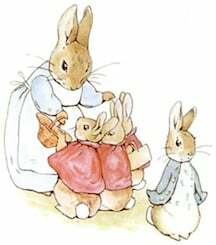 Flopsy, Mopsy, Cottontail and Peter lived in the roots of a tree with their mother, who warned them not to go to Mr. McGregor’s garden, because “Your Father had an accident there; he was put in a pie by Mrs. McGregor.” Yikes, how’s that for a dose of reality for young children? But of course, Peter doesn’t listen. He ventures into the garden and feasts on lettuces, French beans, and radishes. Mr. McGregor makes him a target. Even though Peter’s good siblings get bread and blackberries and milk for supper, he has learned that a little naughtiness (through exploration of the world) can be good for the spirit. That seems to be the underlying message in many of the Beatrix Potter books. 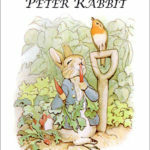 Including Peter Rabbit, Beatrix Potter produced 23 of the iconic “tale” books for young children. All exhibit the lovingly detailed illustrations, slightly naughty characters, and attention to the natural world that made Peter Rabbit such a phenomenon. Tom Kitten, Squirrel Nutkin, Benjamin Bunny, and Little Pig Robinson and many other beloved characters have starred in the little books that have been beloved by children for generations. 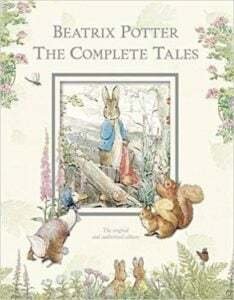 Beatrix also wrote a number of other books that are lesser known but equally charming, including “Painting Books” presented by Peter Rabbit and some of the other characters. The Fairy Caravan (1929) was a bit of a departure. It was only published outside of Britain when it first came out, and wasn’t published in her native land until 1952, some years after her death. 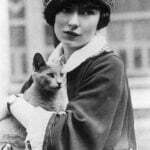 Having become famous and wealthy already after her first few books, her editor fell in love with her. Norman Warne, a partner in the Frederick Warne company, proposed to her and she accepted. Her parents objected, because the gentle Mr. Warne wasn’t “gentleman” enough for them — he was in “the trades.” Tragically, Norman Warne died of leukemia before the two had a chance to be married. Beatrix was devastated, but the experience helped her to stand up to her parents. 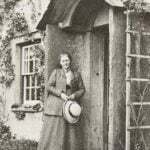 She purchased Hill Top Farm in England’s Lake District in 1905; it remained a working farm during her lifetime, into the present day. She spent an increasing amount away from London, and continued to buy land. In 1913, she married William Heelis, a local lawyer. Her parents once again objected, but her brother, who had married a Scottish farm girl without their consent, came to her defense. 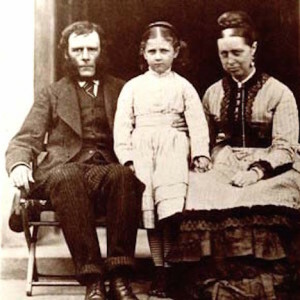 Beatrix and William Heelis moved to Near Sawrey after a small wedding in London. The last 30 years of her life were mainly devoted to her farm life. She gardened, raised sheep, and became an avid preservationist. To preserve the beautiful lands of England’s Lake Country, she sought to bring as much of it as possible to the care and ownership of the National Trust. She left her own property to the National Trust as well. It was transferred after the death of her husband in 1945; Beatrix died in 1943 at the age of 77. 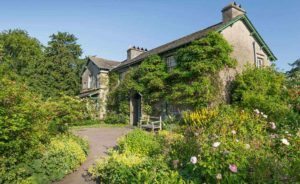 Today, Hill Top is open to visitors who can experience the magic of Beatrix Potter’s farm, gardens, and the surrounding countryside much as this beloved author left them. Connie, can you post the links for the Society, both in the UK and USA? 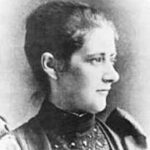 Thank you for posting a lovely summary of Beatrix Potter’s literary life. 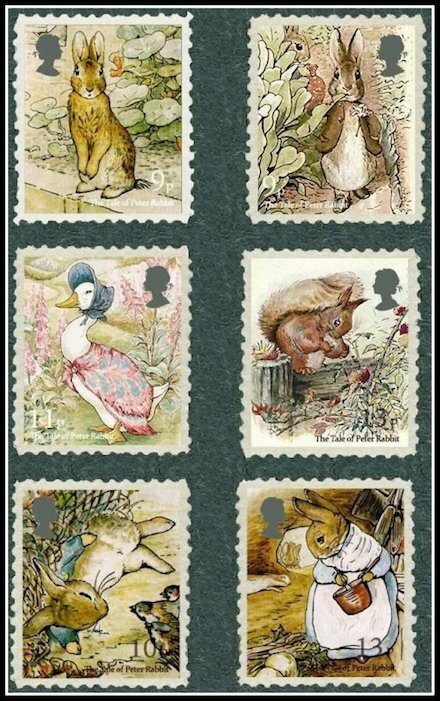 You would enjoy visiting with others in the Beatrix Potter Society both in the UK and USA at conferences or local gatherings. Hope you can join us!